First Tech Federal Credit Union has been a dedicated partner to Children’s Miracle Network Hospitals for many years, with their annual golf classic highlighting their many successes. In 2017, this event raised over $1.2 million and in 2018 they are hoping to raise over $1.3 million for local children’s hospitals! The event is Monday, July 9th this year and will be located just outside Portland, Oregon. This year, First Tech FCU is matching any donation given, up to an amazing $50,000. 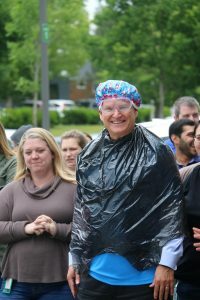 The opportunity to get your donation matched ends on June 30th. To donate, and have your money doubled, click here: First Tech Donation Site. 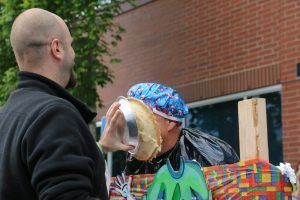 As First Tech prepares for the 2018 golf classic, they’ve already seen some outstanding success, including: raising over $60,000 in first 3 weeks from just their employees, members, and community & a Pie-in-the-face event that raised $5,700 with CEO Greg Mitchell participating (photos below).